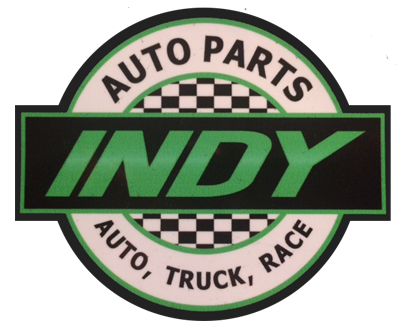 Indy Auto Parts is an automotive aftermarket parts store situated on Rt. 1S in Peabody, Massachusetts. Since 1988, co-founders James E. Mitchell Jr. ("Chip") and David Collings ("Dave") have taken pride in promising their customers service, selection, and satisfaction. Today, auto enthusiasts and common commuters alike routinely rely upon Indy&apos;s expertise to resolve all of their automotive questions. Steady and sustained patronage from generations of local customers has firmly cemented the business&apos; status as a fixture along the evolving Peabody automile. Looking ahead, the team at Indy Auto Parts is excited to expand its presence online and offer digital customers the same excellent experience available in-store for over thirty years. Before founding Indy Auto Parts, Chip and Dave were co-workers at American Discount Auto Parts (ADAP) - a now defunct automotive retail chain. Rising competition from national mail-order chains in the 1980s decimated speed shops nationwide, including those that serviced the Greater Boston area. Cognizant of changing market dynamics, the founding duo differentiated Indy Auto Parts from defeated brands by providing superior product knowledge, competitive pricing, and a diversified line of performance parts. Unlike existing chain stores, notorious for upselling unsuspecting customers, Indy Auto Parts only sold what the customer needed and nothing more. This trust, built by educating the customer, is the foundation upon which the business grew. By 1990, Indy Auto Parts outgrew its original location at 216 Newbury Street and relocated to its present site in the Peabody Auto Mall. During this period, the business&apos; brand equity grew exponentially through a combination of print, radio, and television ads. Some of these memorable spots have been archived and can still be viewed by clicking here. These marketing efforts, coupled with partnerships with New England Dragway and the IHRA, vaulted sales to new heights. At the turn of the century, Indy Auto Parts had seven employees and eclipsed $1.5M in annualized sales. This era of prosperity has largely continued to the present day, although the enterprise has had to evolve in response to disruptive market forces. In particular, the growing ubiquity of the Internet and accelerated globalization has capped profit margins on traditional goods. To adapt, Indy Auto Parts is deploying a website that captures the wide selection of products available in-store at competitive prices. With longstanding relationships with the nation&apos;s largest wholesale distributors, Indy Auto Parts is able to add new, niche offerings that are often difficult to obtain from ordinary online vendors. In recent years, Indy Auto Parts has also revived its installation service division with great success. These projects, spearheaded by Danny Morales, are a manifestation of the brand&apos;s traditional commitment to speedy, superb service. Over the last decade, Danny has serviced hundreds of vehicles and can comfortably accommodate a diverse array of requests. Popular installations include, but are not limited to, in-dash multimedia units, bumpers, roof racks, sound systems, interior and exterior lighting, and customized floor liners. To sign up for your own installation, call the store today!